In this striking picture book biography, an old-timer tells us what made Sandy Koufax so amazing. We learn that the beginning of his career with the Brooklyn Dodgers was rocky, that he was shy with his teammates, and experienced discrimination as one of the only Jews in the game. We hear that he actually quit, only to return the next season--different--firing one rocket after another over the plate. We watch him refuse to play in the 1965 World Series because it is a Jewish high holy day. And we see him in pain because of an overused left arm, eventually retiring at the peak of his career. Finally, we are told that people are still "scratchin' their heads over Sandy," who remains a modest hero and a mystery to this day. Accompanied by sidebars filled with statistics, here's a book sure to delight budding baseball fans. 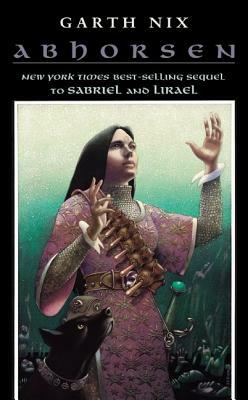 New York Times bestseller Lirael is perfect for fans of epic fantasy like Game of Thrones. In this sequel to the critically acclaimed Sabriel, Garth Nix draws readers deeper into the magical landscape of the Old Kingdom. Lirael has never felt like a true daughter of the Clayr. Abandoned by her mother, ignorant of her father's identity, Lirael resembles no one else in her large extended family living in the Clayr's glacier. She doesn't even have the Sight--the ability to see into possible futures--that is the very birthright of the Clayr. Nevertheless she must undertake a desperate mission under the growing shadow of an ancient evil--one that opposes the Royal Family, blocks the Sight of the Clayr, and threatens to break the very boundary between Life and Death itself. With only her faithful companion, the Disreputable Dog, to help her, Lirael must find the courage to seek her own hidden destiny. From the author of Abhorsen comes classic fantasy set in a world dominated by the Ragwitch, a being of sinister, destructive intent. Quiet, easygoing Paul never expected to be cast in the role of savior. But his strong-willed sister, Julia, has come under the thrall of the Ragwitch, and Paul himself is drawn not only into the creature's world but into a battle for Julia's very existence -- as well as his own. This first volume in a mesmerizing new trilogy introduces a group of teens, who call themselves Midnighters, living in a world that is frozen in time and inhabited by dark creatures that lurk in the shadows. This is the second book in New York Times bestselling author Scott Westerfeld's Midnighters series. As the Midnighters search for the truth about the secret hour, they uncover terrifying mysteries woven into the very fabric of Bixby's history, and a conspiracy that touches the world of daylight. This time Jessica Day is not the only Midnighter in mortal danger, and if the group can't find a way to come together, they could lose one of their own . . . forever. Touching Darkness is the second book in the Midnighters trilogy, from the New York Times bestselling author of the Uglies series. The apocalyptic conclusion to the New York Times bestselling Abhorsen series--an epic fantasy experience not to be missed. The Abhorsen Sabriel and King Touchstone are missing, leaving only Lirael--newly come into her inheritance as the Abhorsen-in-Waiting--to stop the Destroyer. If Orannis's unspeakable powers are unleashed, it will mean the end of all Life. With only a vision from the Clayr to guide her, and the help of her companions, Sam, the Disreputable Dog, and Mogget, Lirael must search in both Life and Death for some means to defeat the evil destructor--before it is too late. . . .
Little Critter is so excited to learn about recycling at school and he's ready to do his part to help the environment. After Little Critter's class takes a trip to the local recycling center, he goes home on a mission to teach his family what he's learned. Full color. The High Priestess interprets the wishes of the god as conveyed through the Oracle. Mirany serves the High Priestess. But when the god speaks to Mirany, she realizes that the High Priestess does not hear him, that she is manipulating the choosing of a new God-on-Earth for her own gain. Mirany must join forces with Seth, a young tomb-robbing scribe who knows the secrets and hidden passages of their land, if she is to defeat the treachery that grips the kingdom. But they have powerful enemies who will stop at nothing to destroy them. When Mama and Papa Bear go out for the night, Brother, Sister, and Honey aren't too sad that their parents will be gone. Why? Because they have Mrs. Grizzle--the best babysitter and storyteller ever In The Berenstain Bears' Big Bedtime Book, the cubs and Mrs. Grizzle share six of their favorite stories, including "The Three Little Cubs and the Big Bad Pig," "Goldibear and the Three People," and "Little Red Grizzly Hood." 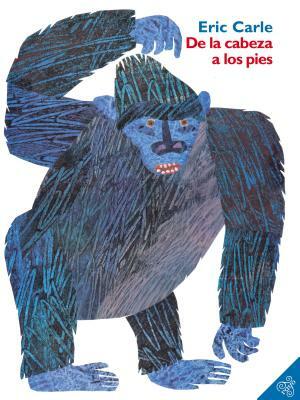 Written and illustrated through the collaborative efforts of Stan, Jan, and Mike in the signature Berenstain style, this book of original folktales will have kids begging for bedtime. Twilight is the sixth and final book in the thrilling, romantic Mediator series, from the New York Times bestselling author of the Princess Diaries, Meg Cabot. Suze has gotten used to ghosts. She's a mediator, after all, and communicating with the dead is all in a day's work. So she certainly never expected to fall in love with one: Jesse, a nineteenth-century hottie. But when she discovers that she has the power to determine who becomes a ghost in the first place, Suze begins to freak. It means she can alter the course of history...and prevent Jesse's murder, keeping him from ever becoming a ghost--and from ever meeting Suze. Will Jesse choose to live without her, or die to love her? Don't miss the delightfully funny supernatural Mediator series, from New York Times bestselling author Meg Cabot. Shadowland is the first book in the thrilling, romantic Mediator series, from the New York Times bestselling author of the Princess Diaries, Meg Cabot. Suze is a mediator--a liaison between the living and the dead. In other words, she sees dead people. And they won't leave her alone until she helps them resolve their unfinished business with the living. But Jesse, the hot ghost haunting her bedroom, doesn't seem to need her help. Which is a relief, because Suze has just moved to sunny California and plans to start fresh, with trips to the mall instead of the cemetery, and surfing instead of spectral visitations. But the very first day at her new school, Suze realizes it's not that easy. There's a ghost with revenge on her mind...and Suze happens to be in the way. Don't miss the delightfully funny supernatural Mediator series, from New York Times bestselling author Meg Cabot. Everything is going great for Suze. Her new life in California is a whirlwind of parties and excellent hair days. Tad Beaumont, the hottest boy in town, has even asked Suze out on her very first date. Suze is so excited that she's willing to ignore her misgivings about Tad... particularly the fact that he's not Jesse, whose ghostly status--not to mention apparent disinterest in her--make him unattainable. What Suze can't ignore, however, is the ghost of a murdered woman whose death seems directly connected to dark secrets hidden in none other than Tad Beaumont's past. Reunion is the third book in the thrilling, romantic Mediator series, from the New York Times bestselling author of the Princess Diaries, Meg Cabot. The RLS Angels are out for blood, and only Suze can stop them--since she's the only one who can see them. The four ghostly teenagers died in a terrible car accident, for which they blame Suze's classmate Michael...and they'll stop at nothing until he's joined them in the realm of the dead. As Suze desperately fends off each attempt on Michael's life, she finds she can relate to the Angels' fury. Because their deaths turn out not to have been accidental at all. And their killer is only too willing to strike again. 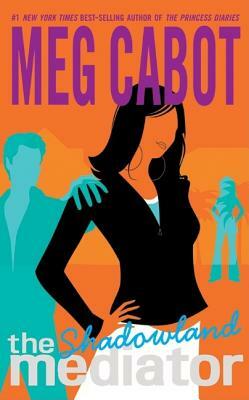 Don't miss the delightfully funny supernatural Mediator series, from New York Times bestselling author Meg Cabot.